Many social media users believe Russians may have compromising information — also known as “kompromat” — on Senator Lindsey Graham (R-SC). 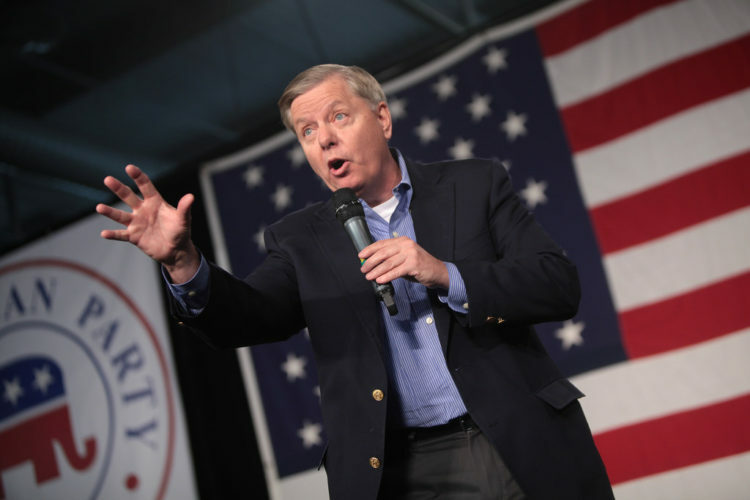 Graham was a staunch critic of Donald Trump in 2016, but recent comments and actions by the senator have led a number of voters to believe there’s something nefarious going on. To be fair, it’s not uncommon for high-ranking civil servants to criticize possible presidential nominees within their own party only to turn around and support them during the general election. Both sides do it, but Graham said he voted for Evan McMullin, not Trump, in the general election. There’s some evidence that Graham’s change of heart might have something to do with dirt the Russians may have on him. Russians didn’t only hack the Democratic National Committee (DNC), they also hacked the Republican National Committee (RNC), yet the Russians didn’t release the data they had on Republicans. Some of that data is speculated to be private emails. This leads one to ponder if there’s something in those emails Senator Graham doesn’t want anyone to see, and that possibly his new positions have something to do with a threat of releasing that information to the public if he doesn’t toe the party line. There’s also the 2017 article in The Dallas Morning News which outlined a variety of Republicans who took over $7 million in campaign contributions “from a Ukrainian-born oligarch who is the business partner of two of Russian president Vladimir Putin’s favorite oligarchs and a Russian government bank.” The article noted Graham received $800,000 of that chunk of cash. Graham hasn’t addressed why he’s changed his position – even after it was revealed last week that former Trump lawyer Michael Cohen told federal prosecutors he committed felonies at the direction of the president. The Senator’s changing narrative is leading people to question whether or not he’s been compromised by the Russians. Read what other people are saying about possible kompromat on Graham on Twitter. Follow Kimberley A. Johnson: Twitter, Facebook.